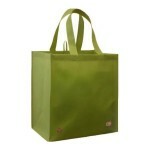 Is That Bacteria in my Reusable Grocery Tote? Listen to Your Parents… Breakfast IS the Most Important Meal of the Day! I am often asked if January is our busy season because of the New Year Resolutions associated with weight loss and fitness, and my answer is always no. We live in Chicago. New Year Resolutions may be a high time to lose weight and shape up in LA or Miami, but not so much in Chicago. Around January 1st, I am wearing about four layers of clothes just to head to a client, and I go from my garage to theirs. But when the spring months come, and we begin to remove the layers… oh no… what happened? If only it wasn’t so cold after getting out of the shower the last four months then MAYBE we would have taken a second to peek in the mirror and see what was going on or even jump on the scale. But when you are running for warmth, reality is pushed aside and comfort food is welcomed.